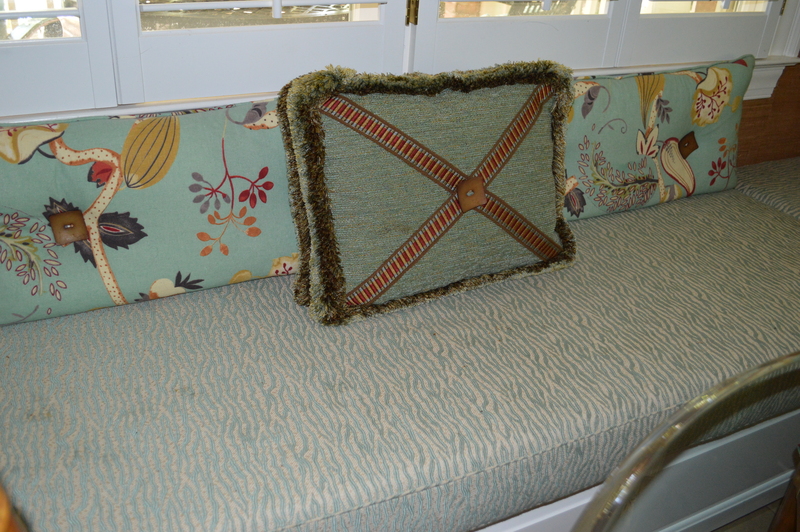 Here at the store, we love our decorator fabrics and are constantly inspired to create new window treatments, bedding, pillows and headboards with special touches of designer trim, wallpaper, the occasional vintage chair or sofa, and more than likely, a perfect rug or two. As a matter of fact, we do custom almost everyday! As you can see, the bedroom below has all the elements of great design, creating a comfortable yet sophisticated space. Grounding the large master bedroom with a textured rug from Dash & Albert is a perfect place to begin. The Alhambra Wool Tufted Rug is a Spanish-inspired pattern translated into a soft tufted wool rug. The crown moldings pop in white against the Sherwin Williams “blonde” paint. A balance of textures, color and pattern throughout the room add interest, and the symmetry of the lamps and art add to the completed look. 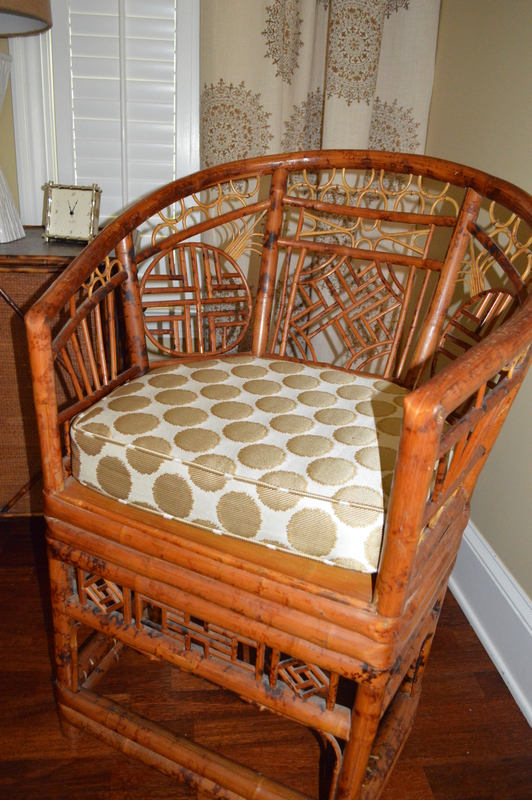 Our own Danna Rutledge created this space making exquisite choices in fabrics, design elements and accessories. 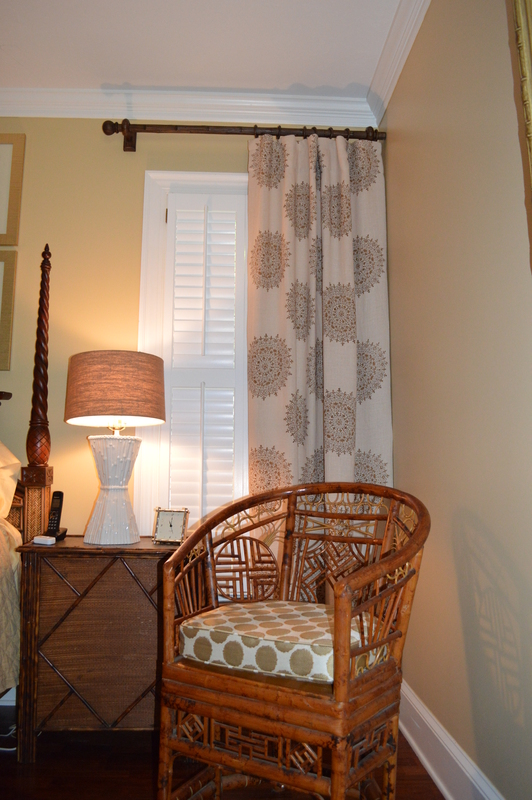 The room is a perfect example of what Chrysalis Fine Fabrics has to offer. 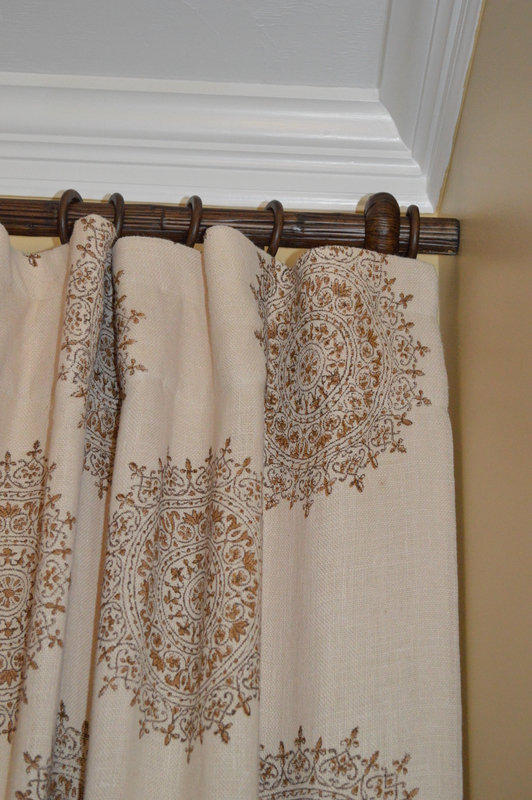 The woven medallion Suncrest draperies in jute are ready-made panels mounted on custom painted Antique Drapery hardware using rings for easy closure for additional light control. 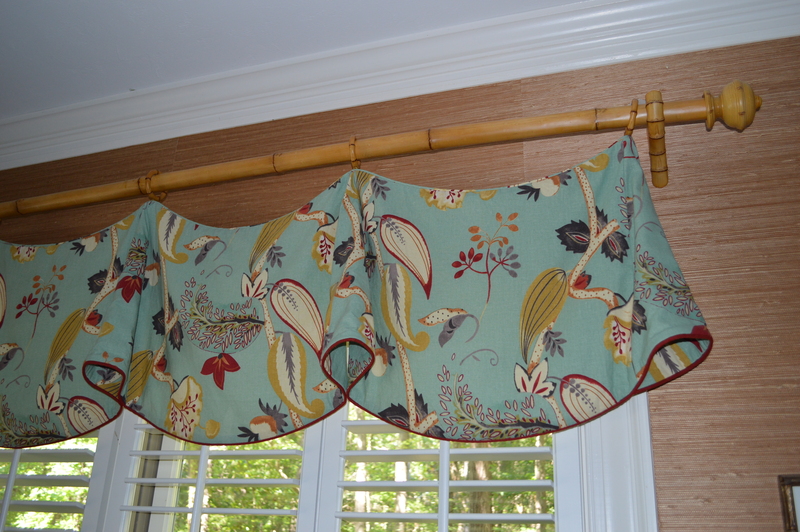 The window treatments are both beautiful and functional; must-have features! The large gold dot fabric on the custom cushions repeat the circular motif in the panels and marry well with the two Chinese Chippendale side chairs. 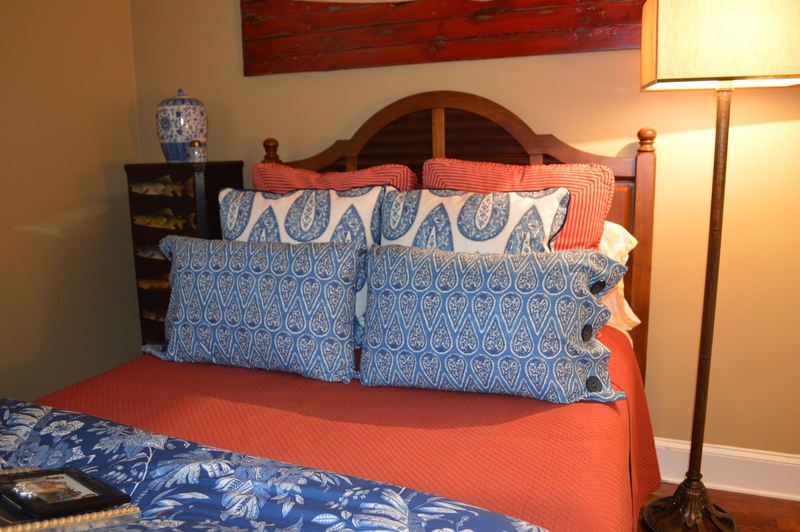 A guest room received a special touch when Danna added euros and pillow shams. Note the creative use of button closures on the simple pillowcase design. Both fabric patterns (different scales) work beautifully with the blue comforter and coral mattelasse coverlet and shams. 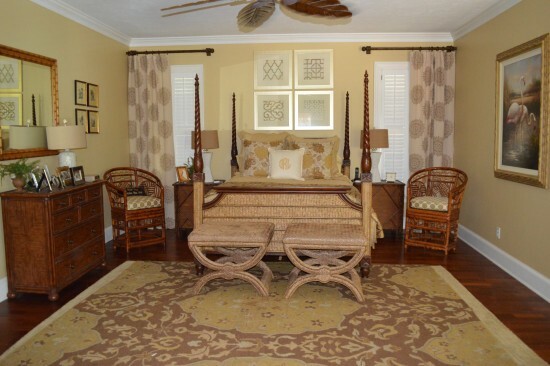 Again, the room is grounded with a stunning jute rug over hardwood. 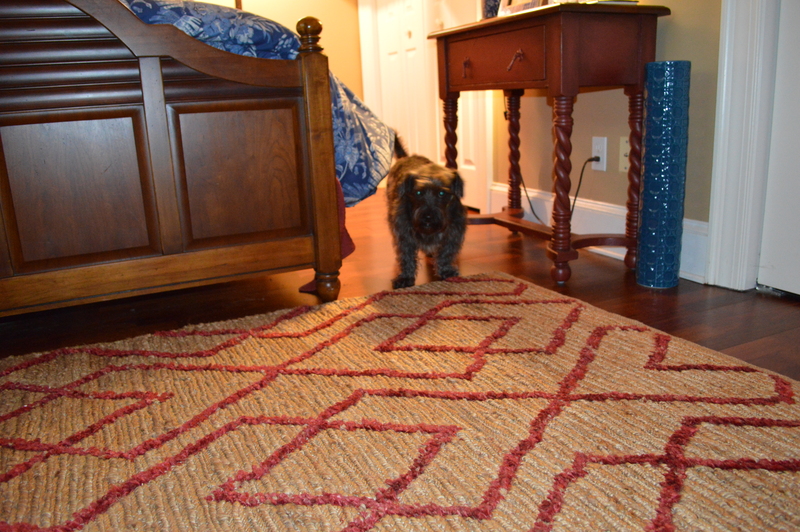 The Marco Red Jute Woven Rug has a soumak weave background and cut-pile pattern. Due to the handcrafted nature, some variation in the height of the pile is expected. The Dash & Albert rug is available in six (6) sizes and four (4) color combos. 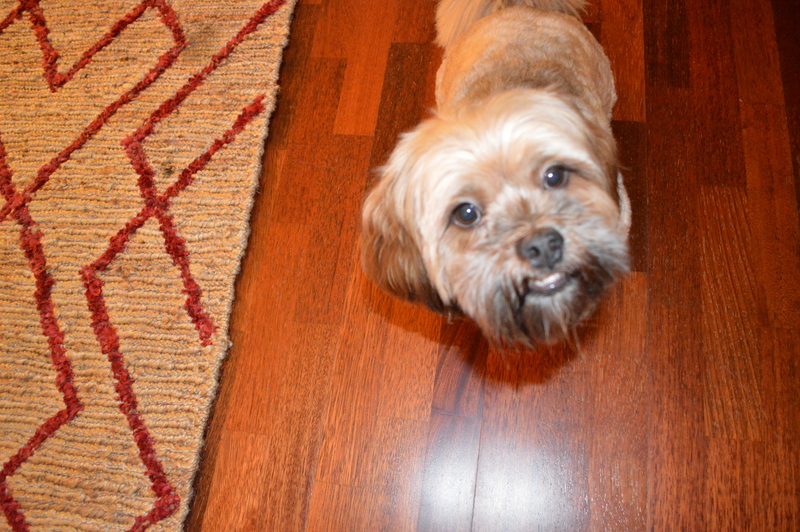 Note the adorable “Rocky” standing by his favorite rug…. and Sophie posing as if she was in a Dash & Albert ad! 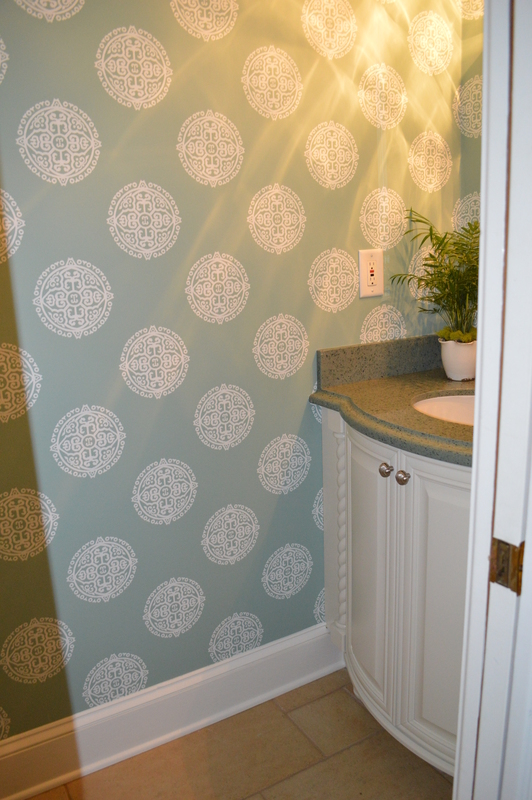 The new powder bath is a showstopper with our Halie Circle wallcovering in aqua from Thibaut’s Enchantment Collection. 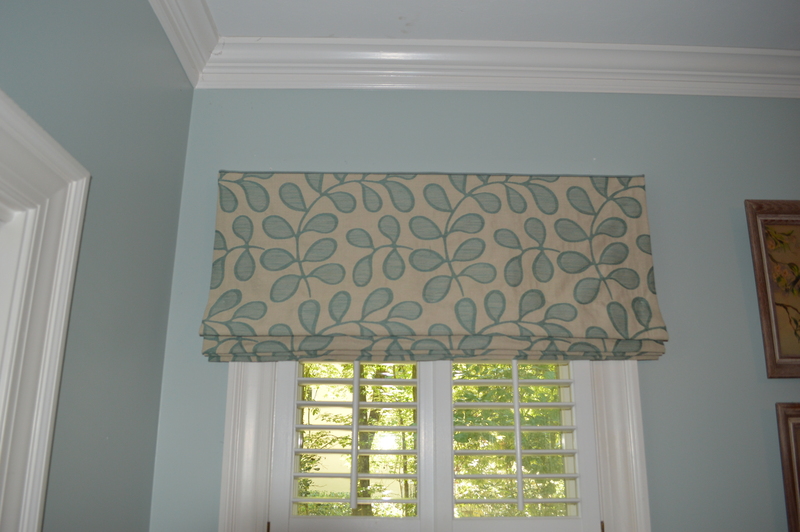 Roman Shades are trending in 2014 and this beautiful working shade adds simple sophistication to a guest room and privacy when needed. 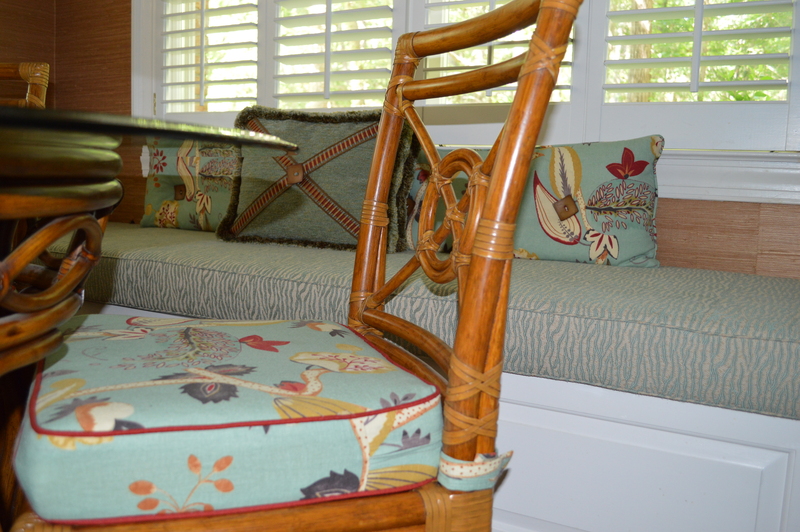 The swag valance on bamboo rods sit above a bankette with custom cushions, pillows and matching cushions on rattan chairs. The entire kitchen/breakfast area is pulled together cohesively with grasscloth wallcovering from Thibaut.